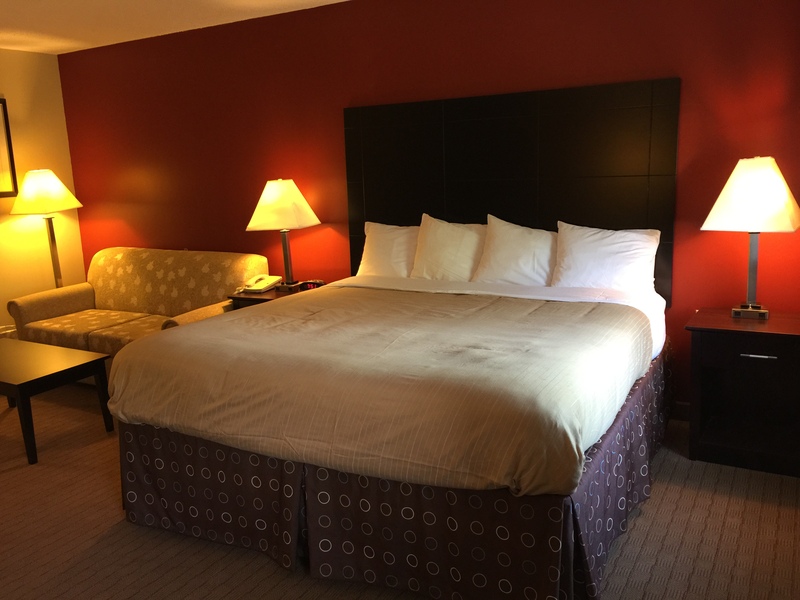 Unwind in this clean and comfortable king size bedroom which features Free Breakfast, Free WiFi, Flat Screen TV, Microwave and refrigerator, Easy chair and desk, Shower.Easy to set alarm clock radio,hair dryer, iron and board, organic bathroom amenities. Elevator, Parking lot view rooms. 24 hours front desk staff on duty. 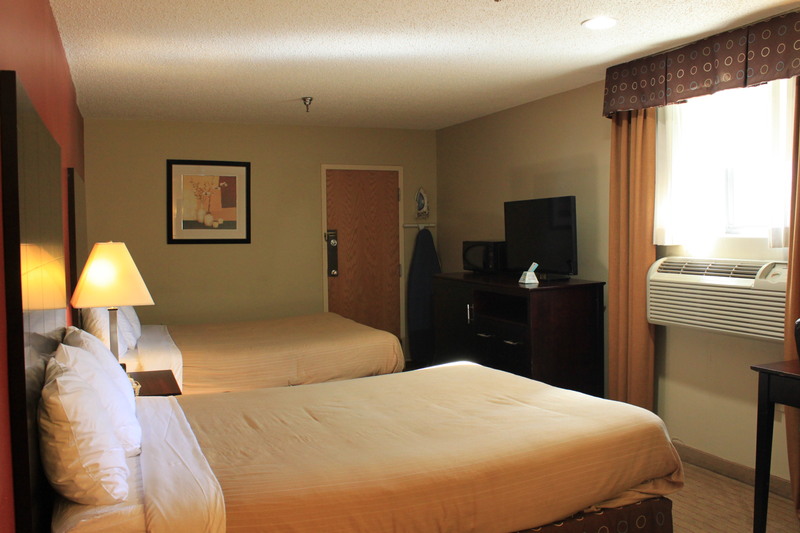 This comfortable and clean queen bed room offers everything a guest needs to enjoy their stay. Room includes Free Breakfast, Free WiFi, Flat Screen TV, Microwave and refrigerator, Easy chair and desk, Shower.Easy to set alarm clock radio,hair dryer, iron and board, organic bathroom amenities. Elevator, Beautiful park view rooms available. 24 hours front desk staff on duty. 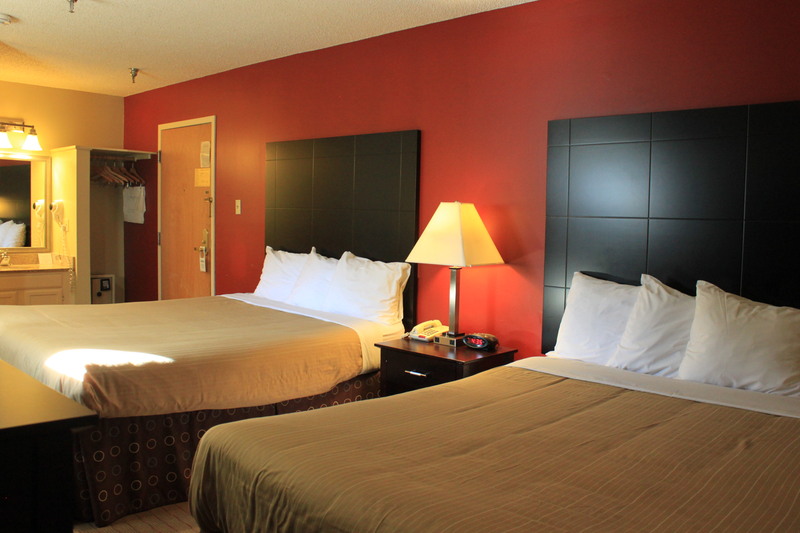 This comfortable and clean 2 queen bed room offers everything a guest needs to enjoy their stay. Room includes Free Breakfast, Free WiFi, Flat Screen TV, Microwave and refrigerator, Easy chair and desk, Shower.Easy to set alarm clock radio,hair dryer, iron and board, organic bathroom amenities. Elevator, 24 hours front desk staff on duty. 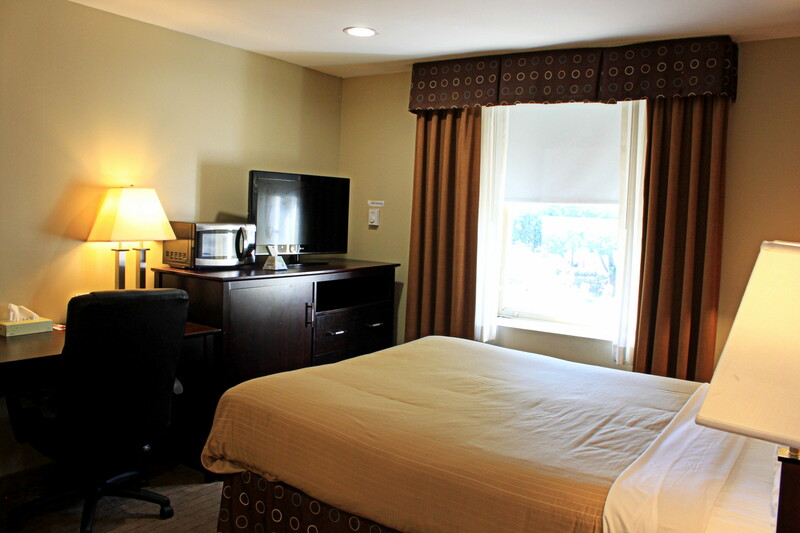 This comfortable and clean king suite bed room offers everything a guest needs to enjoy their stay. Room includes Free Breakfast, Free WiFi, Flat Screen TV, Microwave and refrigerator, Easy chair and desk, sleeper sofa, Shower.Easy to set alarm clock radio,hair dryer, iron and board, organic bathroom amenities. Elevator, Beautiful park view rooms available. 24 hours front desk staff on duty. 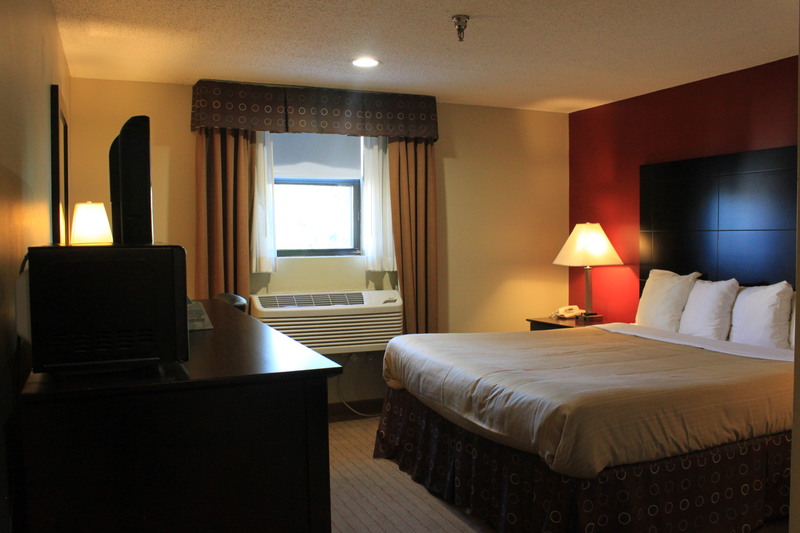 This comfortable and clean 2 queen handicapped bed room offers everything a guest needs to enjoy their stay. Room includes Free Breakfast, Free WiFi, Flat Screen TV, Microwave and refrigerator, Easy chair and desk, Shower.Easy to set alarm clock radio,hair dryer, iron and board, organic bathroom amenities. Elevator, Parking lot view rooms. 24 hours front desk staff on duty.